The Prime Minister, Voreqe Bainimarama, yesterday accepted the district of Nakelo’s traditional apology. The district is apologising to the PM for not supporting him after the 2006 takeover and his leadership. The PM thanked the district and sought God’s blessing. 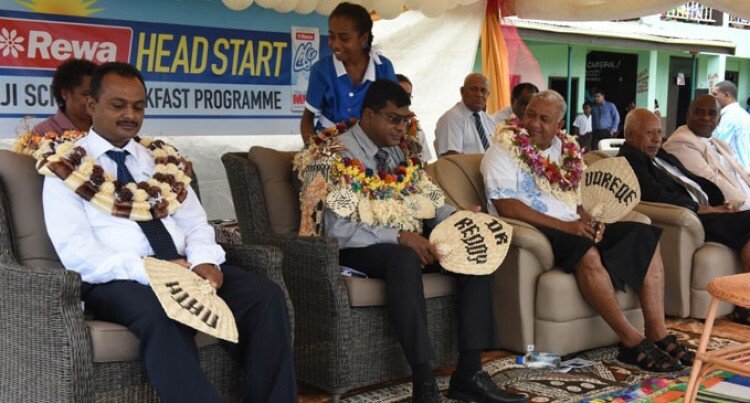 Tui Nakelo Ratu Timoci Namela said many villages, districts and provinces in Fiji had offered their apologies and they decided to offer their apology yesterday during the launch of the free milk programme for Year One students. “We now have seen and witness the many changes he did that affected the people and he really cared for all Fijians,” Ratu Timoci said. He urged all Fijians to support the current Government because it delivered on its promises. He pointed out that the launch of the Rewa Head Start breakfast programme was an initiative promised in the FijiFirst manifesto. “They (FijiFirst) kept their promise and today they had delivered that promise to the people,” Ratu Timoci said.